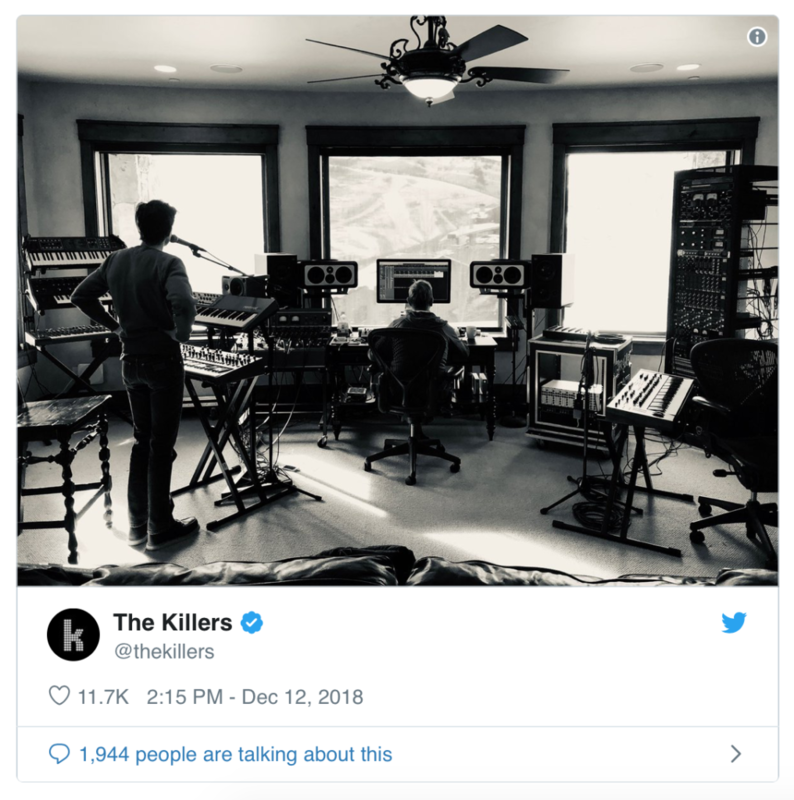 The Killers are in the Recording Studio! If you missed it, about a week ago The Killers put a picture on Instagram that has their fans in speculation-mode. Are they working on new music? Sure as hell looks like it! They released an album called “Wonderful Wonderful in 2017 (which was their first album in 5 years). Looks like the creative spark is back! Hopefully they’re working on an album and not just a couple songs. Are you optimistic it’s the full band working in-studio?